The Wonderful and the Obscure: Hey! What's on the Flip Side? Hey! What's on the Flip Side? I also wanted to chime in on a discussion which took place in the comments of a fairly recent post, asking about the number of records pressed up by any one of the various labels. I believe the number varied quite a bit between labels, and also within any one label. Somewhere, I have a copy of the sales pitch for one of the labels, and it made it fairly clear that you could pay for a variety of levels of product (demo, small band, full orchestra), for increasing amounts of money, and that you could also pay for a few records, a few dozen records, or several dozen records. Many years ago, an eBay seller bought the contents of a warehouse of records, and for a while, he was listing, every single week, dozens of Rodd Keith Preview 45's. When a copy of one of them sold, he listed another and another. I believe he must have had 25-50 copies of some of these records, just from what he described in the eBay ads and what he told me when we corresponded, AND these were presumably copies which never went to the song-poet. Plus, there are certain records - mostly on Preview, in my experience - which show up again and again in auctions. Then again, I've rarely seen a copy of ANY Halmark release more than twice, and barely ever more than once. Here's a keen thought I had: I've been fortunate enough to find copies of several of the records that those in the larger song-poem world released on compilations, during those days when compilations were released. Hell, I even supplied about a half-dozen of those which were released in one form or another, either on disc or on the two online comps that came out (not to mention having provided dozens of tracks for the old MP3 section of the ASP/MA, all of which were later posted to the WFMU blog. So, I thought to myself, why not share some of the better numbers which appeared on the flip side of well-known (or semi-well know, as this is the song-poem world) song-poem records. So that's what I'm doing today. 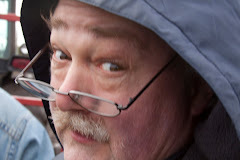 I'll start with the flip side of one of my friend Stu's half-dozen favorite song-poems, Norm Burns' "Baby, Set Your Date on Time, which was on the third compilation and is available on Youtube. So here, in all its splendor, is the flip side, "Got No Tears to Spare". 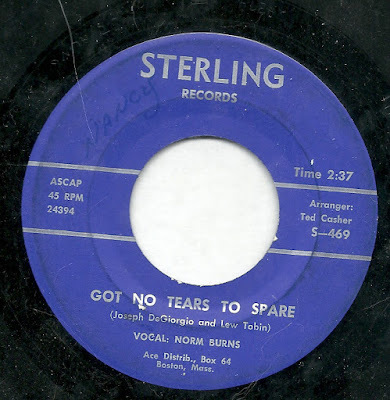 This, to my ears, is a nice, bouncy number, featuring the ubiquitous Sterling trebly guitar and a wonderful vocal from Norm, although they extended it a bit unconvincingly with a dull instrumental section. This side is also marred somewhat by a fairly severe scratch, which can be heard from time to time, and which really becomes prominent in the solo, and again in the final seconds. An all time favorite of many song-poem aficionados is "I Can't Decide (If It's the Beatles, Elvis or Rick)". 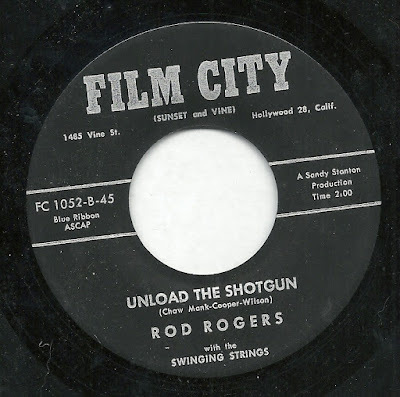 This Rod (Keith) Rogers masterwork is also readily available on Youtube and has been on multiple compilations, including one of the early song-poem collections and multiple unofficial Elvis-related compilations. While I love "I Can't Decide", I also believe that the flip side, "Unload the Shotgun", is equally ridiculous and nearly as fun. Here's Rod(d) in Western mode, complete with shotgun sound effects, and completely ineffective attempts to provide a country backing with the mechanized sounds of the Chamberlin. And it's always fun to hear Rodd trying to go for a Country vocal style - I usually read into it a level of contempt, or at least satire. Finally, there is the absolutely lovely and quirkily off-kilter Preview 45 by Judy Layne, titled "Just Runnin' Wild", which can't be found online, but is featured on the wonderful Rodd Keith compilation "I Died Today", which I heartily suggest everyone find and purchase. As was sometimes the case with Preview releases, when a singer who only made a handful of tracks for the label was on one side, Rodd Keith ended up on the other, and such is the case here. He is heard with "The Raindrops", as he often was on peppy, sunny tracks. 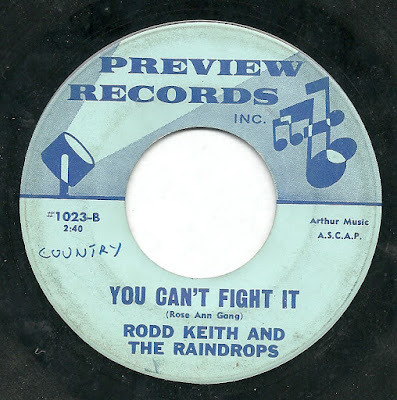 This flip side, "You Can't Fight It", is a bit off-kilter itself, with an awkward 6/8 beat and more country-tinged vocals (a previous owner even wrote "country" on the label, although he or she did not attempt to quantify the sound of "Just Runnin' Wild"). Those country vocals don't mesh well, to my ears, to the setting, particularly the sax fills, or the more pop-oriented lyrics. None of that makes it bad at all - the lyrics, by the fabulously named Rose Ann Gong, are quite nice - but it's a fairly weird record, one which sounds somewhat like aspects of the era's music and yet simultaneously not sounding like anything that would have been on the radio. Thanks for posting these! I've had "Just Runnin' Wild" for a while now and always enjoyed "You Can't Fight It." Like you say, there are some very commercial things about it, but who claps on the 2 beat of a waltz? "Unload the Shotgun" was new to me, and I can't say I understand the lyrics. What happened to her? Revenuers shot her? Her dad? I don't get it. Interesting that Chaw Mank co-wrote this side too. 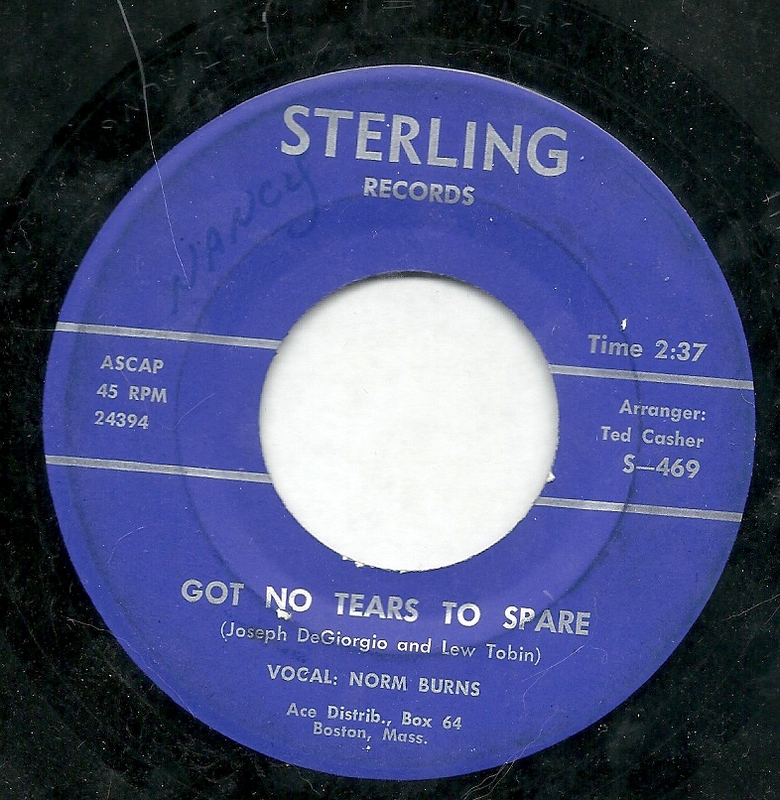 And the Norm Burns song is wonderful in that singular Sterling way.